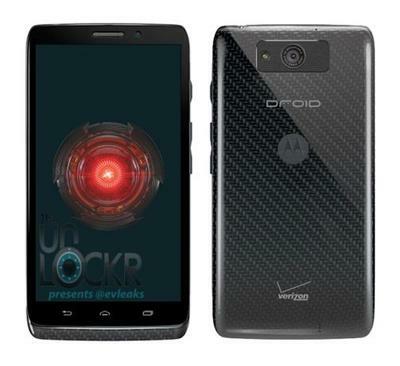 Ahead of this week's Motorola event, scheduled for July 10 and July 11, The Unlockr has acquired an image of the company's Droid Ultra, a device that'll supposedly spearhead a trio of flagship devices headed for Verizon. Said to be a slimmer verizon of the Droid Maxx (which we already saw), the Ultra will be aligned to go up against the market's current big boys: HTC One, Samsung Galaxy S4, iPhone 5. And it might actually stand a chance. The device itself looks sharp, with Motorola's familiar Kevlar design ethos still in play. There's also more subtle carrier and company branding on the rear shell; the Motorola name and Verizon logo are actually taking a back seat to the overall design, something that should please Droid fans. It's especially noteworthy given the device will land on Verizon, a company that notoriously and unabashedly brands everything. As for specs, The Unlockr offers only an educated guess: 5-inch Full HD display, Snapdragon 800 quad-core processor and 2GB of Ram. The Ultra will also reportedly sport a 10-megapixel camera with an extra sensor—perhaps that Clear Pixel tech we recently heard about. Otherwise, the device is still a mystery, though we could potentially hear more in a few days.